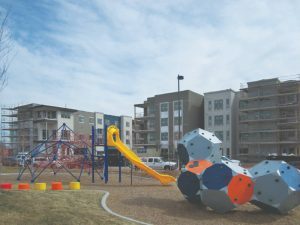 Boulevard One is Among Denver's Hottest Neighborhoods for Home Sales! 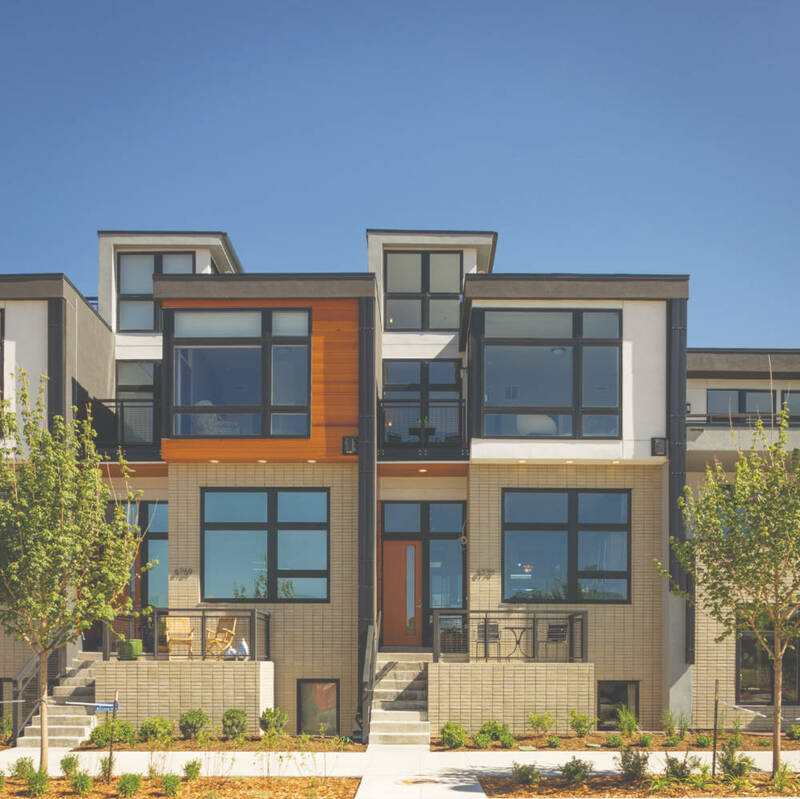 These 347 innovative residences come with every modern convenience. Ranging from studios to three-bedroom apartments, monthly rents are expected to span $1485 to $3100. Within the community, you’ll find a gourmet coffee bar, Peloton Fitness Club, relaxation pool with invigorating water and fire features, hidden poolside fire lounge, game room, skydeck with outdoor kitchen and grills, pet spa, bike repair shop and bike share, private conference and business center, plus social events. Encore is preleasing now for summer move-ins. Please contact the Encore Team at 303.340.8888, or info@encoreatboulevardone.com. Visit encoreatboulevardone.com for more information. 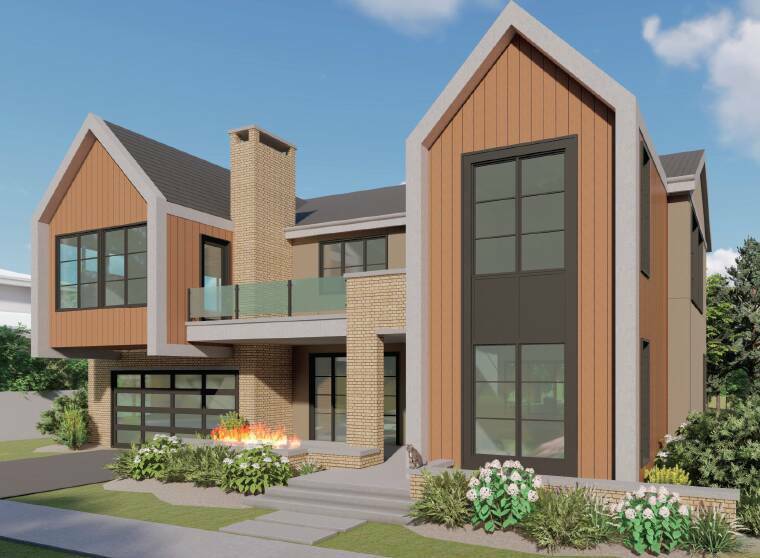 Construction is underway for this spacious six-bedroom, five-bath home at 7006 E. Archer Place. Starting at $1.6M. 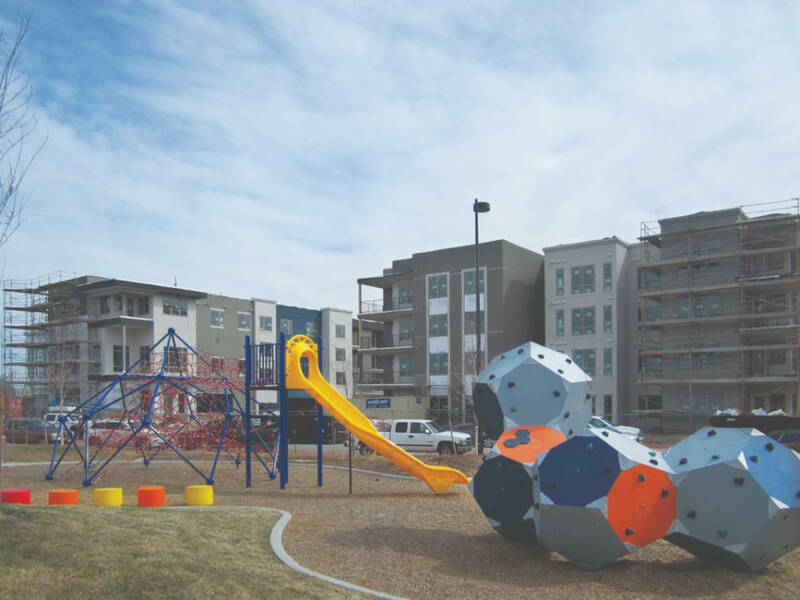 Contact Guy at 303.780.0108 or guy@gobuilders.com. Visit 7006archer.com for a virtual tour. 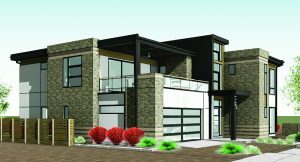 Latsis is currently building two signature homes within Boulevard One. 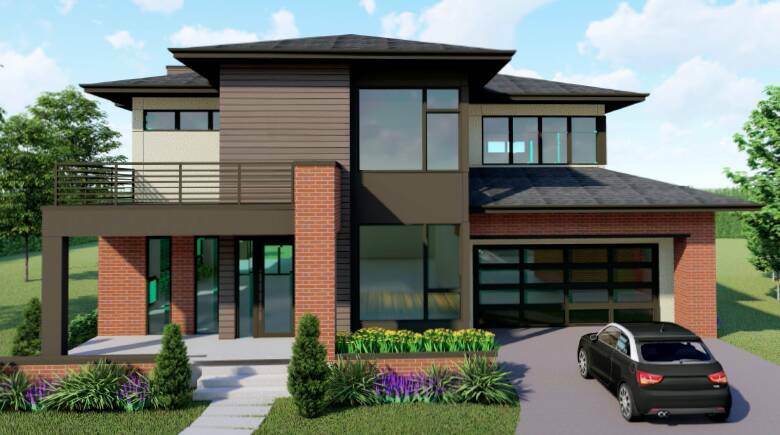 The anticipated price for the modern 3,357-square-foot home at 6886 E. Archer Place is $1.4M. At 3,991 square feet, 7066 E. Archer Place starts at $1.75M. 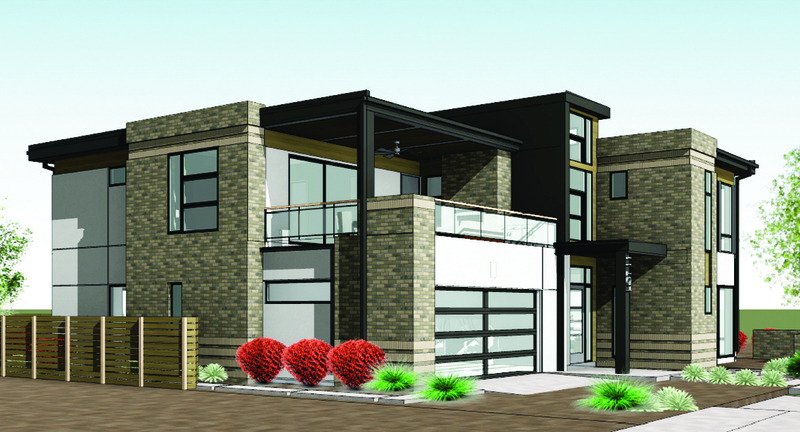 For more information, call 303.696.0086 or visit latsiscustomhomes.com. 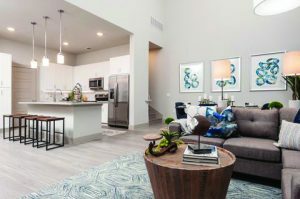 Intelligently designed Orion and Matador models are move-in ready along Lowry Boulevard and near Oneida Court. 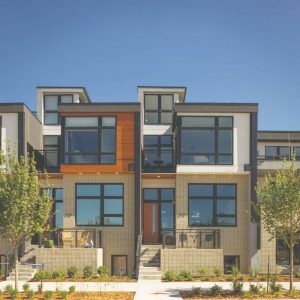 These modern, stylish homes are close to multiple parks and Lucky’s Market. For more information, contact Mary Albair at 303.300.8789 or malbair@koelbelco.com. See the new video tour. Boulevard One is envisioned as a multimodal, mixed-use community. Several projects are in the works to make it easier and safer to get around, whether you’re walking, rolling, taking transit or driving. 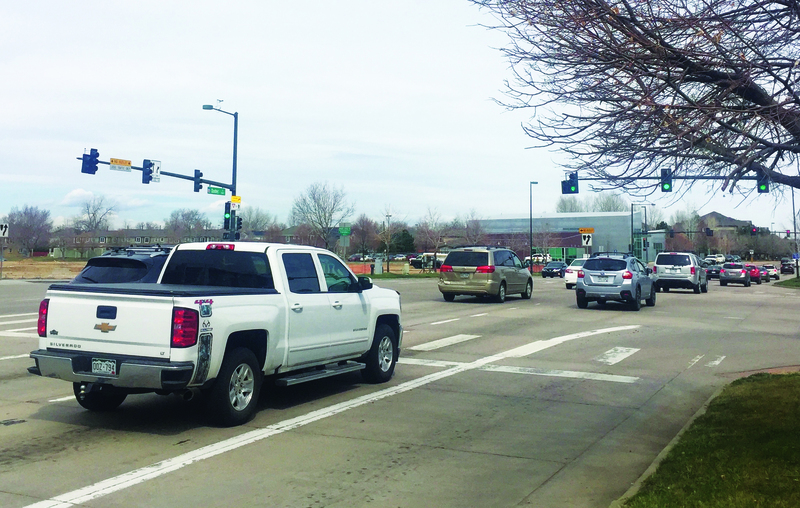 The city’s rapid growth and community concerns about traffic congestion prompted a mobility study in 2016. Now the LRA is implementing many of the recommendations. Quebec Street is a “high injury network” street according to city plans, and the area between First Avenue and Lowry Boulevard is a “pedestrian priority area,” where families, seniors, children, people with disabilities, transit riders and others are trying to get to various destinations. 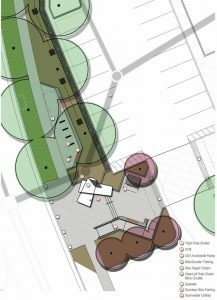 Safety modifications are expected to be completed later this year at Quebec Street and First Avenue and at Quebec Street and Lowry Boulevard. The improvements may include: wider medians that extend through the crosswalk to shorten the crossing distance; smaller turning motions for motorists; elimination of bus pullouts; and slightly narrower travel lanes. These are not major changes but will greatly improve pedestrian safety while continuing to accommodate a high volume of vehicular traffic. The LRA is working with WalkDenver, RTD and Denver Public Works. 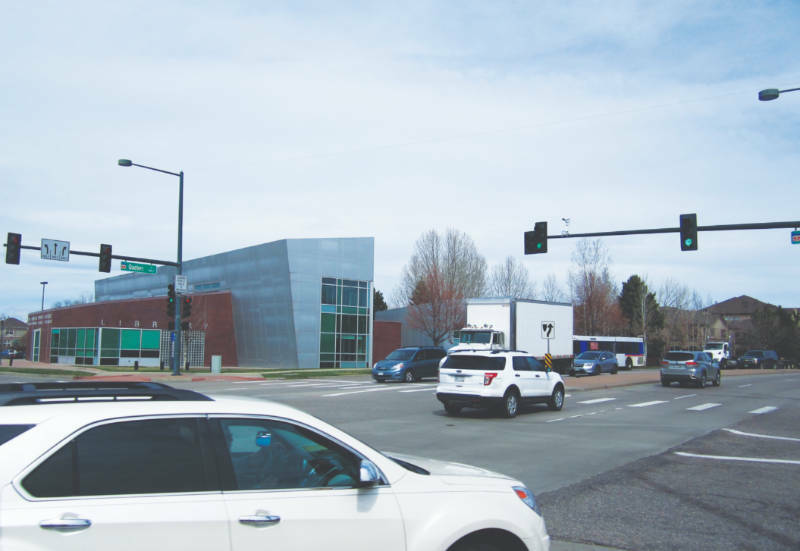 During the Boulevard One planning process, community members pointed out the need for a crosswalk between the Schlessman Family Library and the Boulevard One retail center. The LRA is proposing an “enhanced pedestrian crosswalk” at First Avenue and Poplar Street, which may include a pedestrian-activated signal. New bike lanes will also be added to both sides of First Avenue. 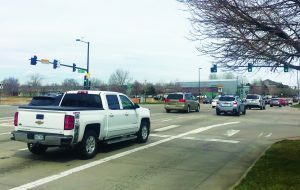 A new signalized intersection will be installed at Lowry Boulevard and Pontiac Street later this year. It is expected to calm traffic and provide a safe pedestrian crossing between the mixed-use center and the community park. The mixed-use center at Boulevard One will include a mobility hub with bike racks, scooter parking, car share parking and a meeting spot for Uber/Lyft or a future shuttle. The “Flight Ride” art installation will be repurposed as a meeting spot or waiting area. Generous sidewalks will provide safe pedestrian access. 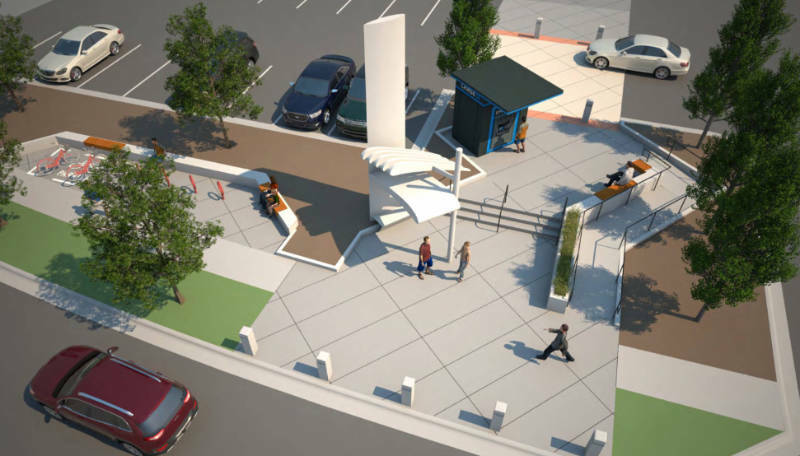 The LRA consulted with Transportation Solutions, an area transportation management association; design and construction is by Confluent Development and Kelmore Development Corporation. For more information on all these Boulevard One safety and mobility projects, please visit boulevardonelowry.com/workplay-spaces. Are you on the Boulevard One mailing list? Register here to receive email updates!